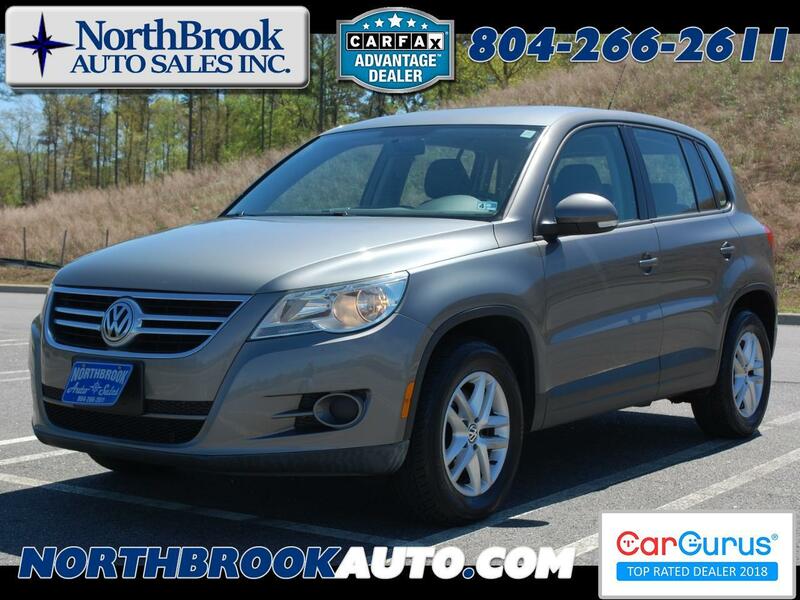 Used 2011 Volkswagen Tiguan 4WD 4dr S 4Motion for Sale in Richmond VA 23060 NorthBrook Auto Sales Inc.
Visit NorthBrook Auto Sales Inc. online at www.northbrookauto.com to see more pictures of this vehicle or call us at 804-266-2611 today to schedule your test drive. All prices reflect our current cash pricing for the vehicle only and are subject to change at anytime for any reason. Advertised pricing does not reflect or include Northbrook Auto Sales, Inc.'s Dealer Processing Fee of $299.00, nor does it reflect or include Sales Tax, Title, or Tag Fees for VA, or any other state.